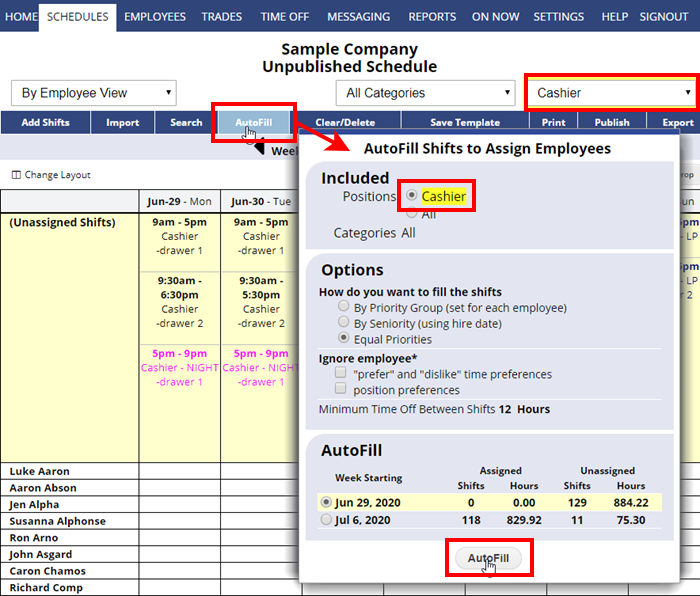 AutoFill can be used to assign employees to shifts one Position (or Position Group or Category) at a time. This can be useful for companies that schedule separate departments in one WhenToWork account and have separate managers handling certain Positions, Departments, or Locations. You can then set your Position/Category dropdowns to show “All” shifts and AutoFill the remaining open shifts.